We want to be your business partner. Read below to learn why. We HELP Small to Mid-size Businesses SAVE more with COMPETITIVE RATE Merchant Processing Services and Complete Business Management Tools. We deliver far-reaching payment options for numerous types of businesses to include all types of Retail, Gas Stations, Convenience Stores, Quick Serve / Restaurants, Wireless, E-Commerce, Supermarkets, Liquor Stores, Grocery Stores, Tobacco Stores, Hookah Lounges, Apparel/Clothing, Cellular/Electronics, Gift Shops, Car Washes, Flower Shops, Cosmetics and Health & Beauty. We assist businesses in understanding their cost and show them how to save up to hundreds of dollars. With amazing offers like Next Day Funding, Month End Billing and State of the Art processing terminals that are available to our clients, our call center representatives are also available 24 hours a day, 7 days a week, every day of the year to answer merchant account questions. We always maintain a ‘genuine concern’ to deliver uninterrupted services to our clients. 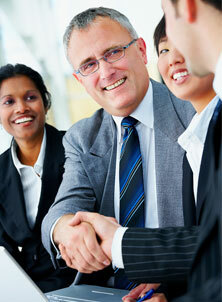 Our purpose is to assist businesses run efficiently. Our value-added services to our clients, over any other provider, are definable, desirable and detectable. We take pride in providing services that are ‘purpose driven’, ‘principle based’ and ‘client central’ while keeping the ‘price to value’ equation on the forefront. We are located at 501 Johnson Ferry Road, Bldg E, Suite 200, Marietta, GA 30068. We look forward to talk to you soon!